I’m heading back to Washington DC after what was a very full several days back home. Perhaps the highlight of the weekend was the ribbon cutting for the Bainbridge Island’s first-mile of the Sound to Olympics Trail. I was excited to be there for a number of reasons. First and foremost, it provides a great path for folks to hike and bike in an amazing community. One of the reasons people in our region appreciate nature so much is because they have access to nature. 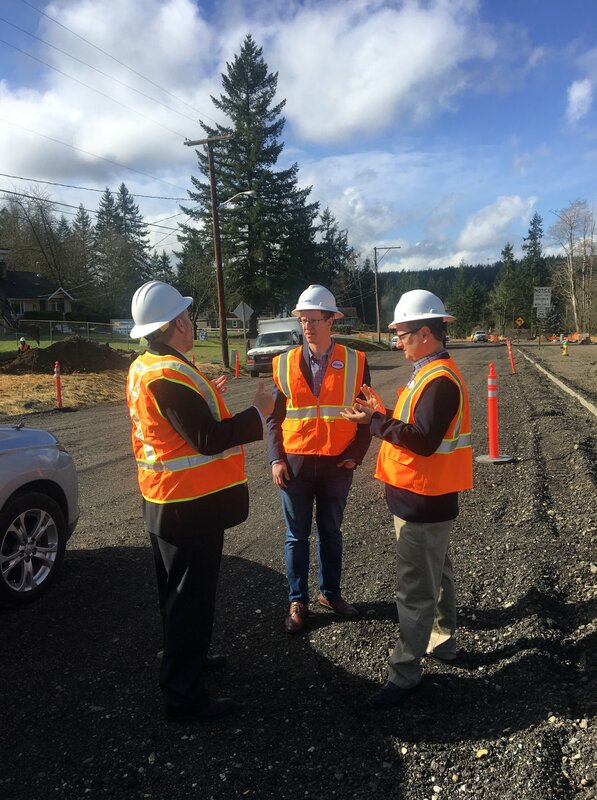 As this trail gets expanded, people will be able to take the ferry over, go for a nice walk, and stop at some local shops and the outstanding Bainbridge Island Art Museum--all without ever getting into a car. That means more folks spending more money in our local and regional economy. Beyond my excitement about the trail, I was also psyched to get some steps in. As I told folks at the ribbon cutting, my office is competing in a daily step challenge this month. And, while improving my overall fitness level is a great goal, my real motivation is bragging rights over the folks on my team who are younger than me and don’t spend eleven hours a week in an airplane. I’m currently in second place (I averaged 13,785 steps per day in February!). That’s definitely thanks to all of you who have invited me to your workplaces and community events like the ribbon cutting. Head on over to my Facebook page to see more about those events, and keep reading for an update on what’s going on in our region and in Washington, DC. Congress hasn’t passed all of the appropriations bills on time in two decades. That’s pretty terrible. It’s led to government shutdowns and a lot of uncertainty in regions like ours where the federal government is the largest employer. Congress recently passed legislation to create a new, bipartisan committee made up of equal numbers of members from both parties and from both the House and Senate. It's called the Joint Select Committee on Budget and Appropriations Process Reform, and it is tasked with coming up with solutions to reform the budget process and hopefully to put an end to the dysfunction. I’m pleased to let you know that I’ve been picked to be one of the members. The committee will have until the end of this year to present solutions that could get the budget and appropriations processes working again. Once we present our ideas, Congress will debate and vote on them. I’m hopeful that this new committee gives me an opportunity to present solutions that will ultimately lead to Congress passing a long-term bipartisan budget through a transparent process. I laid out some ideas along those lines a few months ago in an op-ed for Time, which you can read here. I’m eager to get to work on this, and I’ll keep you updated on the progress as things start to take shape. Right after the Amtrak Cascades Route 501 derailment, I asked my colleagues on the House Committee on Transportation and Infrastructure to hold a hearing on the crash and on a piece of lifesaving technology called Positive Train Control. PTC, for short, is technology that automatically slows down speeding trains. The National Transportation Safety Board is still investigating the crash, but their initial report has said this technology could have helped save lives in the tragic derailment in our region. For more, watch this video, where I joined the Committee (along with my colleague Rep. Denny Heck) to talk about the importance of getting this technology on all of the nation’s railways. Last week, I had the chance to meet with an impressive group of students from Central Kitsap High School. They had recently led a peaceful protest and wrote a thoughtful op-ed calling on Congress to protect schools. Here’s a link to the op-ed, which is a worthwhile read. In the wake of the Parkland shooting, I remain hopeful that Congress will finally take some actions to protect the students, teachers, and staff in our schools. I’ve been hard at work in that regard. Lasting change will require a bipartisan solution. That’s why I joined several of my colleagues as well as a group called Sandy Hook Promise (including a dad who lost his son in that tragedy), to highlight legislation we introduced last month, called the STOP School Violence Act. Watch this video for more about how we can make lasting changes. This legislation alone isn’t enough, but I hope it represents a turning point in the conversation. I wrote at length on this issue in my prior newsletter. Read that here. Over the past few weeks, I’ve met with folks across our region that are doing big things to strengthen our economy. At Olympic High School, career and technical education programs mean that students can gain practical skills that transfer into well-paying, middle-class jobs. The school is getting a substantial facelift that will make a real difference in the opportunities being provided to kids in Kitsap County. 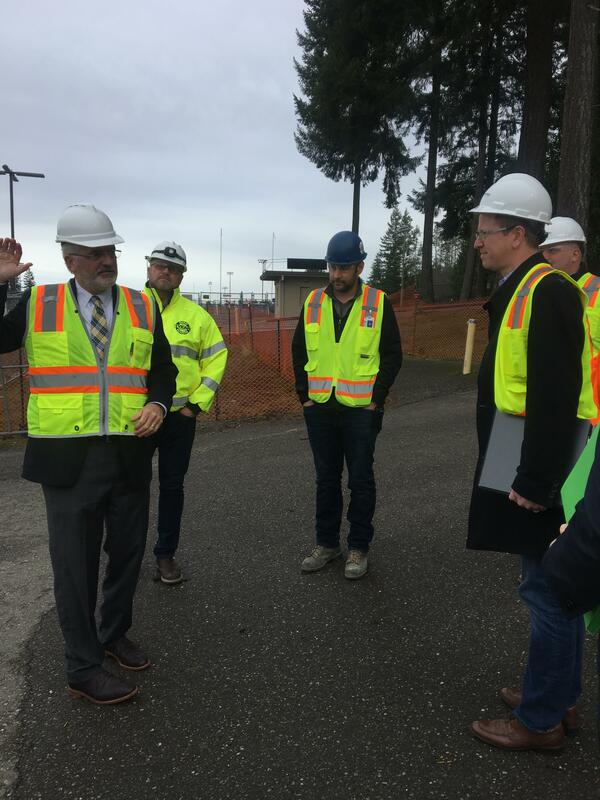 I also got to join with Port Orchard Mayor Rob Putaansuu and his team to check out the Tremont Street project. This project will create a more welcoming “front porch” for the city, will reduce runoff into nearby streams, and will make improvements that enhance safety for drivers, bicyclists, and pedestrians. Our region is filled with innovators, and folks who are finding new ways to contribute in the local economy. 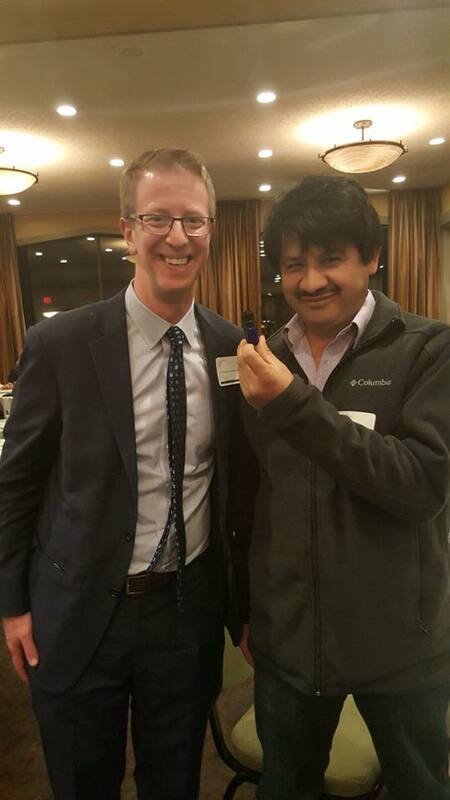 While visiting Clallam County, I met Victor Gonzalez of Victor's Lavender. He told me he'd never grown lavender until moving to Sequim. In the 20 years since then, he has grown millions of plants and become a major lavender wholesaler. Thank you, Victor, for helping grow the agribusiness economy in Clallam County. Your success smells awesome. One of the best parts of this job is meeting with you, and hearing from you about how Congress can be a better partner for folks in our neck of the woods. With that in mind, please let me know if I can lend a hand to you or someone you know. As always, it’s an honor to represent you.